Compression Springs | Dendoff Springs Ltd.
Order Compression Springs in Any Dimension, Material or Finish. 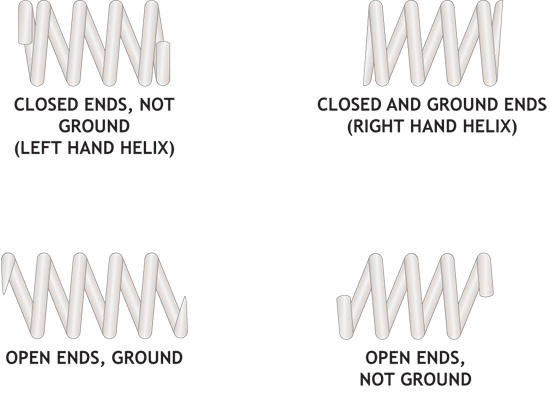 A compression spring is an open-coil helical spring that offers resistance to a compressive force applied axially. Compression springs are generally cylindrical but can be made conical, tapered, concave or convex depending on the design. Need help selecting the right compression spring for your application? Request a quote, or contact us to get started on the compression spring you need. We will manufacture any quantity, any dimension and any material to your precise specifications.